Tanner De Witt is a firm that believes in tradition and we are proud to support the Poppy Appeal for Remembrance Day 2015. The poppy is the emblem of Remembrance Day (also known as Poppy Day) which is a day to remember the members of the armed forces around the world who have died in the line of duty since World War I. This day is celebrated by all Commonwealth Nations. 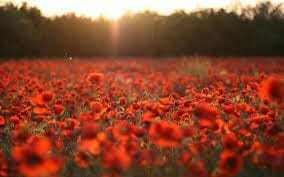 Remembrance Day is observed on 11 November to recall the official end of World War I on that date in 1918; hostilities formally ended “at the 11th hour of the 11th day of the 11th month” of 1918. In Hong Kong we remember those that fought and died by attending a ceremony on Sunday 8 November 2015 at 10:45am at the Cenotaph (opposite LegCo and the Hong Kong Club). Money raised by the sale of poppies stays in Hong Kong and is used by the Royal British Legion to assist ex-servicemen and their families and others in need in Hong Kong. Fortunately we have not known or experienced the horrors of war, and battles seem to be just stories in history books, but they are not. Men and women who we did not know fought, and died, to protect the way of life we now enjoy. Remembrance Sunday is the one time we can reflect on that, and give our thanks for what they did. We have ordered several bags of poppies which you can buy from our office and distribute to staff. Each donation towards a poppy will go directly to the Royal British Legion. Alternatively please contact us to arrange delivery of the poppies to your office. For more information, please contact Lizzie Fraser, Marketing and Business Development Manager, at lizziefraser@tannerdewitt.com.